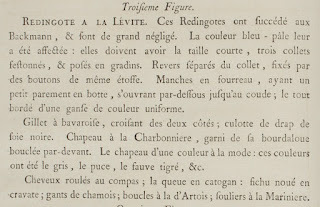 LÉVITE REDINGOTE. These Redingotes have succeeded the Backmanns, and make the grand négligé. The color light blue has been affected to them: they must have the short cut, three scalloped collars, situated in tiers. Revers separated from the collar, held with self-fabric buttons. Sleeves en fourreau, having a little parement en botte, opening underneath to the elbow; the whole edged with a gance of a matching color. 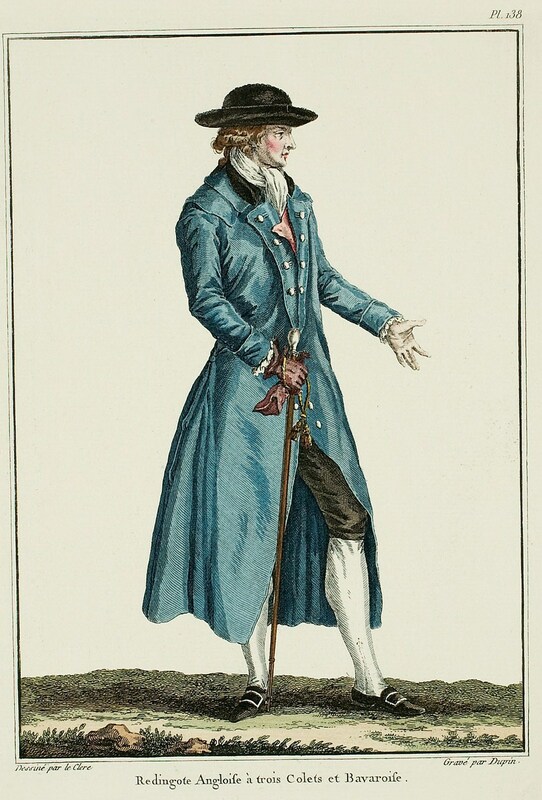 Gilet with bavaroises, crossing on both sides; breeches of cloth of black silk. Hat à la Charbonniere, trimmed with its bourdaloue buckled in front. * The hat of a fashionable color: these colors have been grey, puce, tiger-orange, etc. 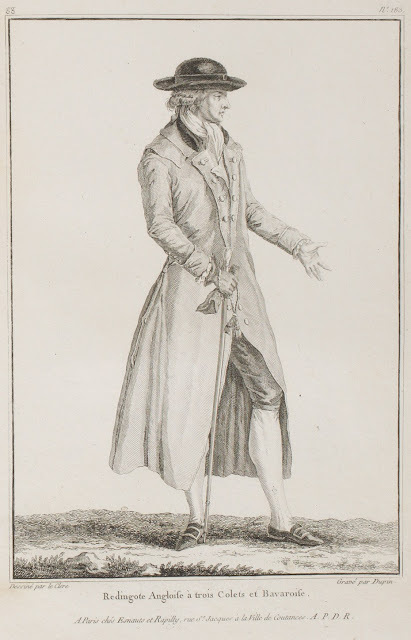 Hair rolled au compas;** the queue in a cadogan: kerchief knotted en cravate; chamois gloves; shoe buckles à la d'Artois; shoes à la Mariniere. 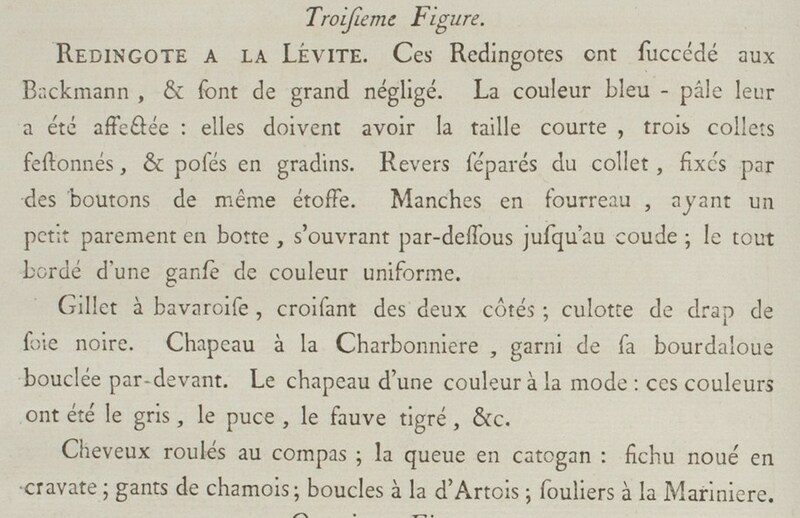 * A charbonniere is a charcoal-maker; a bourdaloue is, besides a woman's chamberpot, a buckled cord/band around a hat. ** I believe this means in one roll all around the back of the head.